[prMac.com] Rockville, Maryland - Lifeware Solutions has announced the release of Solunar Calendar 2.0, a new hunting time calendar for iOS. Solunar Calendar helps you plan your hunting trips by predicting specific days and times with high probability of hunting success. Discover best hunting times and store all your trophies and hunting spots on your iPhone. Solunar Calendar 2.0 is $0.99 for a limited time. Solunar Calendar is available worldwide exclusively through the App Store in the Weather category. Lifeware Solutions is focused on customer satisfaction and committed to creating fun, easy and inspiring applications with style. 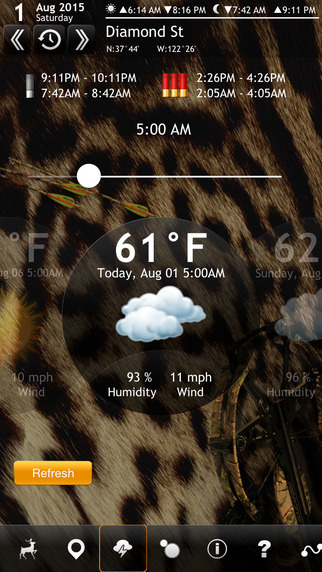 Lifeware Solutions now has several successful apps available in Weather and Sports category. Copyright (C) 2015 Lifeware Solutions. All Rights Reserved. Apple, the Apple logo, iPhone, iPod and iPad are registered trademarks of Apple Inc. in the U.S. and/or other countries.